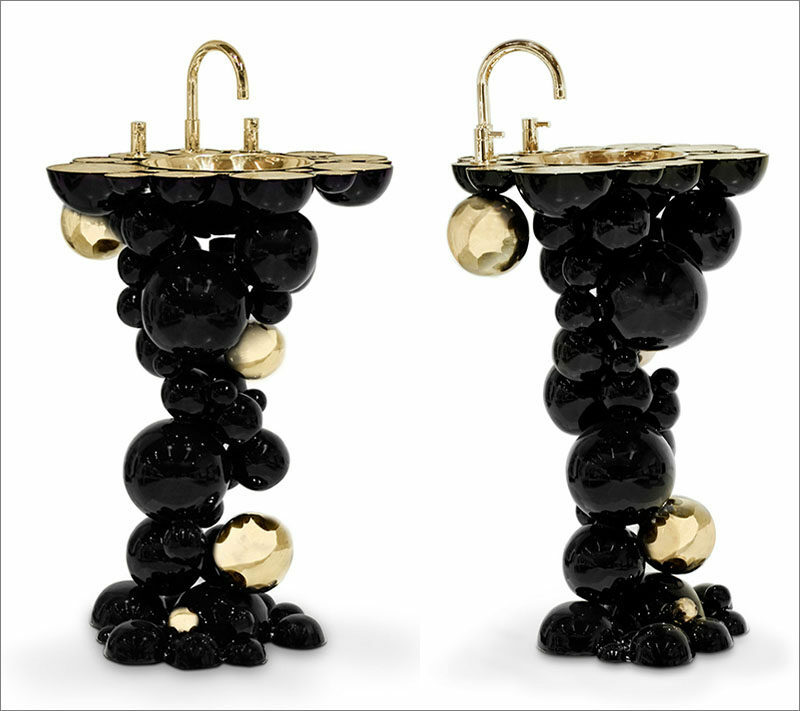 Designer Joaquim Paulo has designed the Newton Collection for Maison Valentina, that includes a bathtub and washbasins that have black bubbly exteriors and a rich gold interior. 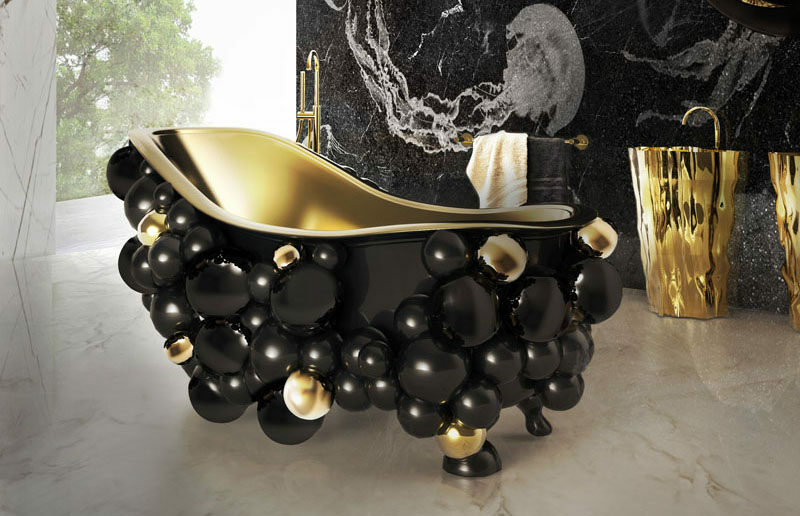 The shiny black and golden spheres found on the exterior of the bath and washbasins resemble a cluster of bubbles floating in a soaking bath. 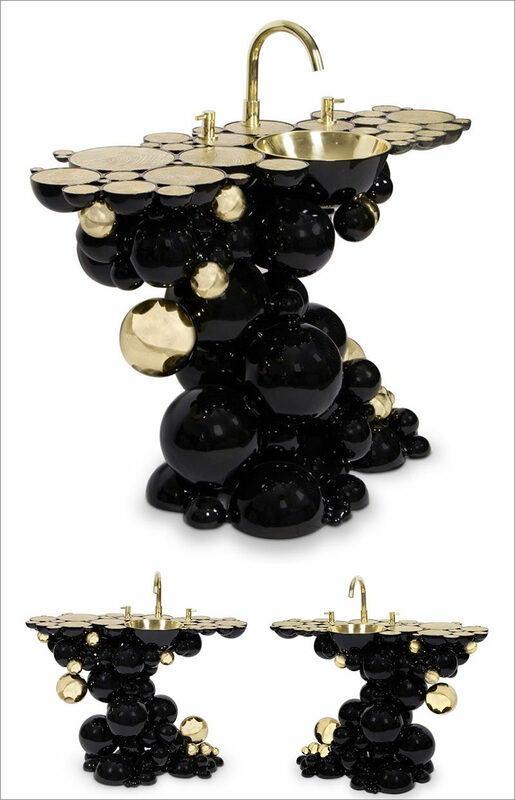 The attention-grabbing designs have black lacquer brass spheres with a high gloss varnish finishing, while the others are gold plated spheres that match the hardware and sink.